What's the story about "French Lessons"
Your teacher soon the day of birth, and you don't know how to congratulate him? 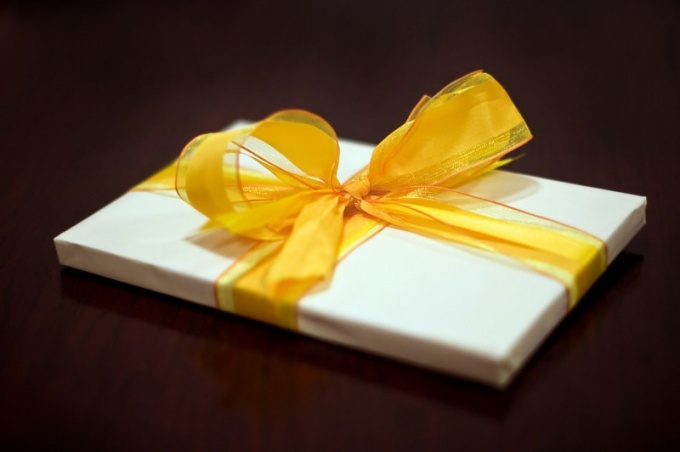 Want it was not a trivial gift, and something unusual and memorable? Meet the following recommendations. The teacher will be glad to receive from you is not a material gift(as many think), and something made by your hands or carried out by you(song). Although to flowers,of course, a pleasure for any teacher.But most of all he will enjoy the surprise you have prepared. For this, all should be well thought out. Make this day memorable for your teacher, let him be pleasantly surprised. In advance you need to buy balloons, decorate the poster. Although you can write wishes on the Board, but keep in mind that from the Board and then erase everything. In this case, remove everything on camera or on video. Photos or captured on video fragments can give to the teacher, and you(if you want) will remain the memory about this day. And the teacher after some time you can, remembering you, tell the other students about your wonderful class. If you decided to make a poster, then it needs to be bright, colorful. In advance, prepare your baby pictures. It is desirable that these were photos in which you are still quite inexperienced. For example, only came to the first class. The teacher will be pleased to remember who you were and be glad, as a grown up. By the way, it will be an occasion to remember something nice or funny of school life.Attach your images and write underneath their wishes or nice words to your teacher. Think of the words to the song you sing. You can "remake" a song that you like. Prepare music. Practice to sing a song together.Buy flowers. Come to class early in the morning you need a teacher to prepare a surprise.Decorate the classroom with balloons, attach to the poster Board with your wishes. Ask someone to warn you that the master has come, to get everything prepared and get up at the Board waiting for the birthday boy.When the teacher enters the class, shout in unison: "Congratulations." Sing the song, give flowers.Believe me, it will be an unforgettable day of birth to your teacher. The class teacher is a teacher who constantly communicates with children, knows their habits, knowledge and skills, is not only training, but educating students. On the eve of teachers ' Day, the eve of the anniversary or birthday of the class teacher parents are thinking about how to congratulate teachers, to whom they are grateful for the attention and care of their children. Think about the creative part of the congratulations. Compose a poem in which you thank teachers for the work and education of children, a song with warm words and compliments. Maybe this will be skits – funny situations from school life? Think of interesting humorous riddles about each student, and festive classroom hour make all present teachers, parents and children. Your homeroom teacher has to guess about whom a riddle, and that student will give after guessing teacher a small gift or flower. As for gifts, what do the teachers belong to the category of professionals who often give sweets. 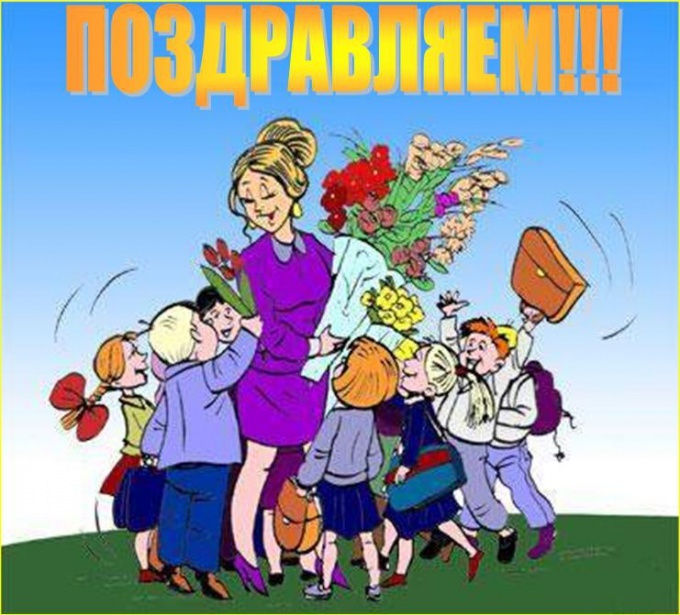 If you decide to give your homeroom teacher the candy, let it be a bouquet or an original composition of them: in the form of a pen - for the teacher of the Russian language account or calculator for mathematics, goals for the teacher. The Internet has a lot of detailed master classes, with which you will be able to make such an original gift. If the parents agreed to collect the money and buy the right thing, you should pay attention to the items needed at home: treat equipment for the kitchen (e.g. a slow cooker), kitchenware (a set of good pots), a picture in a hall or a nice bedspread in the bedroom. A sophomore class teacher, in addition to the main gift, you can present them a collage of photos of students in the same class for all the years of study. Here it is possible to include photos from different events and holidays. You can pre-arrange a photo session on the subject of your teacher (e.g. hidden in famous writers), to add to the photos of good wishes from pupils or aphorisms.